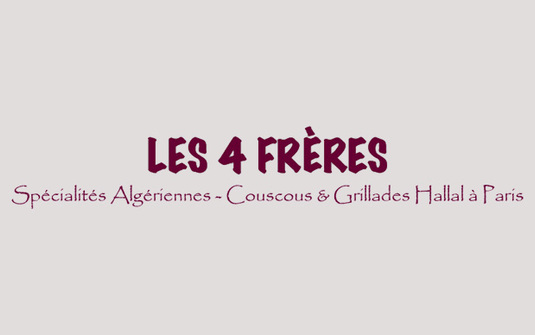 In our restaurant, meat is halal, alcohol is replaced by Selecto or Iffri, soft drinks popular in Algeria. In addition to the two daily specials offered daily, you can treat yourself with a hand-rolled couscous, a loubia (white beans) well in sauce or lentils so Bled. You can accompany everything with grilled "meat kebabs, sausages home or kofta (ground beef)" that you have selected and delivered to the attendant grill. Previously, it is not prohibited to attack with a delicious mhadjeb (stuffed with onions, tomatoes, peppers), a shlita (salad peppers and tomatoes), a brick meat or tuna, unless it prefers the Chorba soup or harira which constitute the indispensable prelude to rupture of fasting during Ramadan.